ALLEGRA BOVERMAN/Staff photo. Gloucester Daily Times. 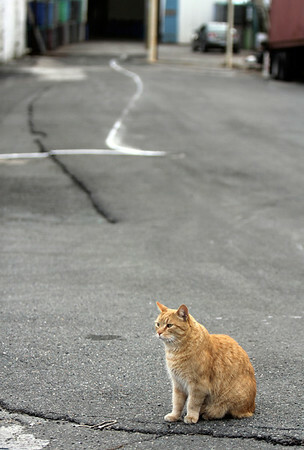 Gloucester: Stubby, the resident cat of Harbor Loop, surveys his realm on Tuesday afternoon.